Gluten free recipes for soups, meals, and breads are included. I have easy gluten free diet recipes for desserts and snacks that will gladden your heart while helping you heal. I use Pacific brand unflavored rice milk in many recipes. For powdered milk I use Vance's Dari-Free, but that is a personal preference. These substitutions will be mainly for creamed soups or frostings. My regular recipes generally don't include casein at all. The best way to maximize your time is to make large meals when you have time, and freeze portions for the times you can't cook from scratch. Even if you only have leftover rice from chicken and rice, for example, it can be substituted for the bread or noodle portion of a different meal, provided the meat and vegetables are seasoned gluten free. everyone will give you enough portions to freeze for the other days. It is hard to be the "odd man out" if you are the only one who is gluten free. Especially in the case of children, it is important to make them feel as normal as possible. So the more meals that they can share the same food, the better. Substituting one portion is much better than an entirely separate meal. Home should be one place they don't have to feel different. It is wise to prepare their plate first though, so that a gluten covered serving spoon is not accidentally used for their serving. In substituting one portion they learn how to work around their dietary limitations too. For some, all grains seem to cause difficulty. If you have found yourself uncomfortable after eating even gluten free grains, you might want to try using the Paleo diet. This diet is not just gluten and casein free, but totally grain free. It can be a good way to start your gluten free diet too, while you are healing. To find out more Click Here! 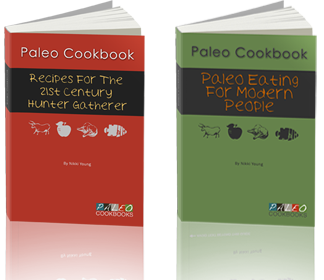 to see Paleo Cookbook information. Or if you just want some great recipes to liven up your menu with guidance on allergy substitutions you will enjoy this gluten free cookbook that is Allergy Friendly and Low Glycemic Index! The author owns a restaurant that caters to people with food intolerance, so she has developed a lot of dishes that will work for us! Because of the fast pace of life today, many people have never made a white sauce or a roux. I have a page of instructions on how to make these thickeners with gluten free flours. You will need them to thicken stews and make a version of "cream of" (ie: mushroom, chicken, celery, asparagus) soups that is gluten and perhaps dairy free. They will be helpful for several of my gluten free recipes. Check back for new recipes, as I add more whenever I find a new way to make an old favorite, or a new favorite.